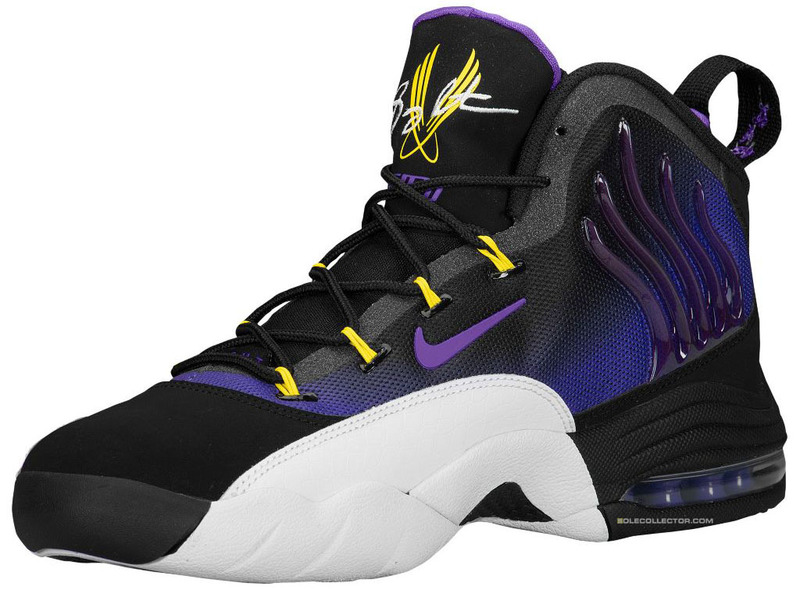 Nike celebrates GP's one season in purple and gold with a new colorway of his Zoom Sonic Flight hybrid. They were supposed to be one of the greatest basketball teams ever assembled. During the summer of 2003, the Los Angeles Lakers signed free agents Karl Malone and Gary Payton to help Shaquille O'Neal and Kobe Bryant reclaim the NBA championship. However, lack of chemistry and injury issues stopped the Lakers short of their goal, as the Detroit Pistons surprised them in the NBA Finals and officially put an end to the dynasty. Despite the disappointing memory of that team, Nike celebrates GP's one season in purple and gold with a new colorway of his Zoom Sonic Flight hybrid. This pair sports a black nubuck and purple gradient textile upper, helped by a white leather overlay and yellow hits on the Dynamic lacing system and Sonic Flight logos. 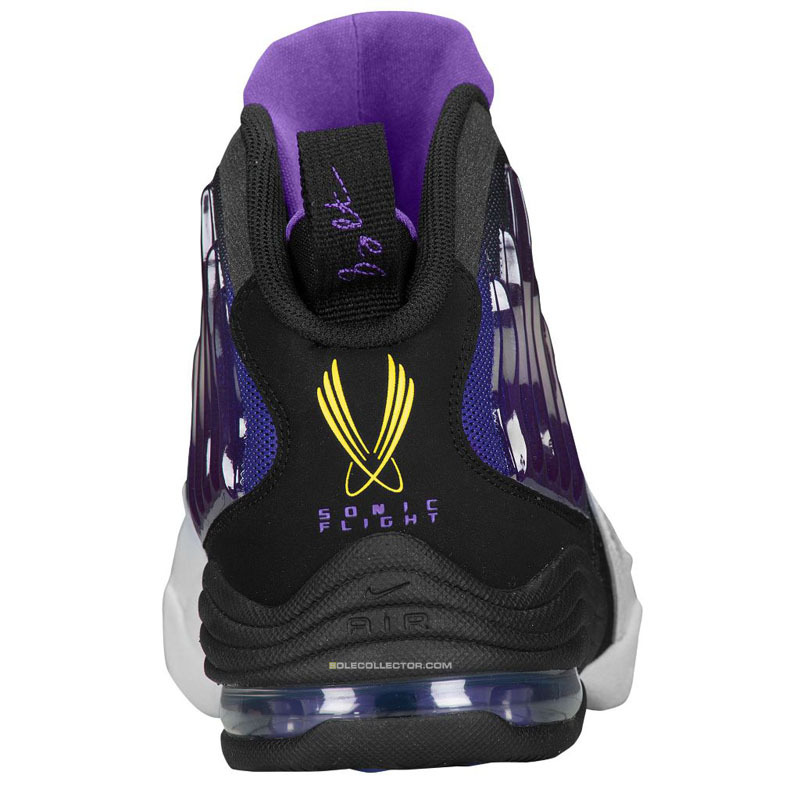 Below sits visible purple Max air cushioning and a black and white rubber outsole. 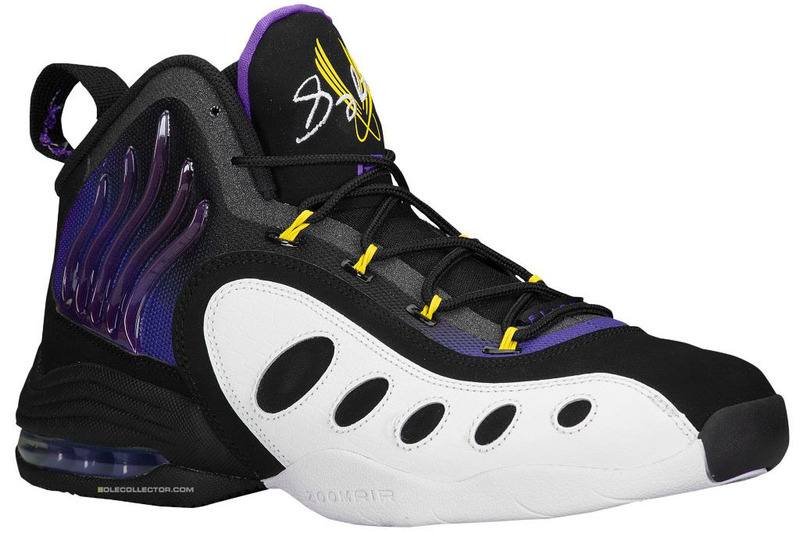 The 'Lakers' Sonic Flight hits retail on Thursday, May 1 for $140.